Home staging your home in Kirkland is about more than decluttering, organizing, or sprucing up the decor; it’s about marketing your home to a buyer that is likely to purchase it. This means that simply dusting off the bookshelf and adding new light bulbs isn’t always enough to convince someone that your home is the one for them. One of the best ways you can sell your Kirkland home fast and for top dollar is to hire a professional home staging expert. When you choose IntExt Staging, you get it all. From the first consultation to closing, we work with you to get the most for you home. Remember, one call does it all. Continue reading to learn about the seven mistakes homeowners make when trying to sell their home on their own. As much as we believe in your ability to stage your own home, you want the knowledge and expertise of your Kirkland home market. 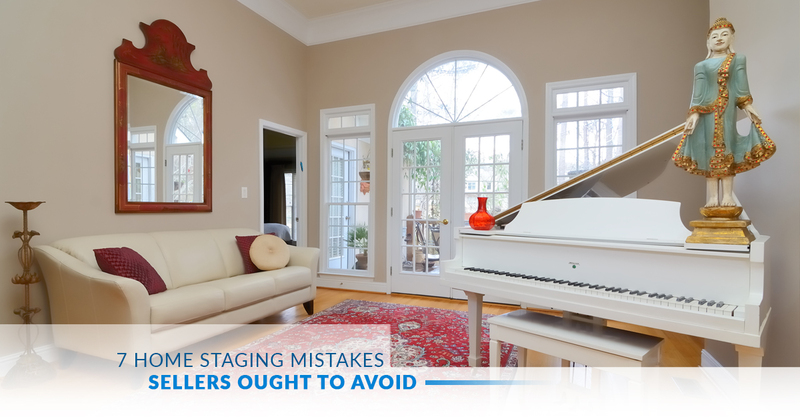 This means you need to include your agent in the process of staging your home. They know they type of buyer for your area and price range, which means the magenta window curtains and the neon green couch may need to go. You want to sell your home fast and for top dollar. A home staging expert brings in experience and knowledge around how to highlight a home’s best features. This could be adding a specific table shape your long, narrow dining room. Another feature could be to replace the kitchen backsplash with a different colored tile. All of this and more can be leverage with a home staging expert for your Kirkland home. In fact, empty homes sell much worse than homes with ill-organized furniture. Home buyers want to see that a home is livable, even if it doesn’t look that great. However, you will sell your home faster and for top dollar if you properly fill your home with furniture that elicits the feeling of being home — whatever that may be for home buyers in your area. In the world of home upgrades, you’re trying to increase your home’s value without spending too much. You’re trying to make money on the sale of your home, not lose money. However, you need to pay a fair price if you’re going to paint anything. The worst feeling in the world is to pay for a paint job that turns out shoddy. Then, you have to pay for a second paint job to “fix” the first one. This is more expensive than paying for a proper painting the first time around. A house feels like a home when the homeowner makes it their own. A huge mistake those selling their homes make is to go extreme minimal and take all the personality and warmth out of the home. The reason modern design is so attractive is complementary decor brings life back into the minimal, bare style. Collectibles, art, and more is great for a home, but it’s not great to sell a house. In fact, art increases the value of a home, if it’s hung in moderation. A house with too much art, collectibles, and decor items will feel cluttered. Home buyers do not want to feel cluttered in the home, whether they realize it or not. They want to feel free-flowing and full of hope. It’s common for those trying to sell their home to push their existing furniture against the walls to make the space feel larger. This actually creates the opposite effect. Furniture in contact with walls takes away the space that could be between the two, communicating that there’s not enough room to actually allow the piece to exist away from the wall. The best technique is to follow the three-by-five foot rule. Move furniture three feet off the wall and five feet from any other furniture. Granted, this is a general ratio, but it helps to organize furniture in larger rooms. Ready to hire a home staging expert in Kirkland? Give IntExt Staging a call today for a free consultation.